Progressive tax policies are important measures to narrow the inequality gaps and maintain a balanced distribution of income and wealth in a society. However, the potentials of such policies have yet to be fully realized in Asia-Pacific developing countries, where direct taxes remain a smaller component in the overall tax mix and redistributive tax tools such as the personal income tax and wealth taxes are under-utilized. As Asia-Pacific developing countries become middle-income and higher-middle income economies, they are experiencing the negative impacts of rapidly rising income and wealth inequalities that have come with fast economic growth. Therefore, a transition towards a more balanced strategy that emphasizes inclusive development needs to happen and progressive tax policies would have an important role in facilitating such a transition. However, implementing progressive tax reforms in developing countries is a challenging task, where the local institutional, historical, and social-economic contexts could be deciding factors for success or failure. 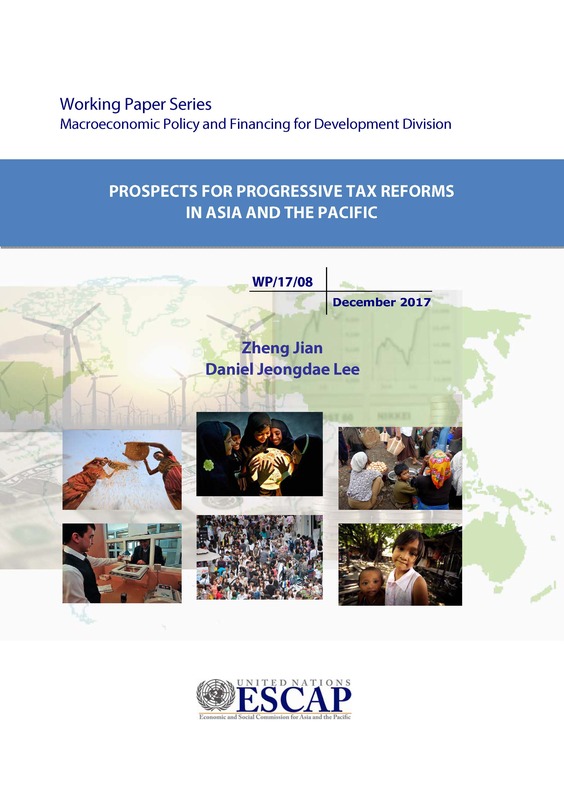 This paper advocates for a differentiated, pragmatic and prudent approach for progressive tax reforms in Asia-Pacific. First, countries at different stages of development should follow different strategies. Second, countries need to anchor their policy making on the actual outcomes rather than on theoretical assumptions, and should always be prepared to adjust their policies according to local context and realities. Last but not least, policy makers and to some extent also the general public need to understand that there is a learning curve of policy design and implementation when it comes to progressive taxation, and therefore should allow the policies to improve and mature over time.